March 23, 2018 11:19 am. International Group 1 performer Torcedor will represent New Zealand interests in next month’s Group 2 Dubai Gold Cup (3200m) at Meydan. Trained in Ireland by Jessica Harrington, the stayer will go into the feature with fresh legs after runner-up finishes in the Group 1 Irish St Leger (2800m) and the Group 2 Long Distance Cup (3000m) at his last two appearances in the spring. “He was beaten a half-head by Order Of St George last time out so he’s a pretty serious horse,” Te Akau principal David Ellis said. Torcedor’s New Zealand owners include Sir Patrick Hogan, Sir Peter Vela and Laurie Laxon. “He’s by Fastnet Rock out of a sister to Yeats, probably the greatest stayer I’ve ever seen. He won four Ascot Gold Cups in a row,” Ellis said. In-form youngster Sir Nate is on target for his home track two-year-old feature on Saturday week. The last-start Trentham winner will spearhead Awapuni trainer Lisa Latta’s attack on the Group 1 Courtesy Ford Manawatu Sires’ Produce Stakes (1400m). “He’s come through his last run nicely and Platinum Mam’selle is also going well,” Latta said. The third member of the team in line for a Group 1 start is Secret Allure, who finished fourth behind Sir Nate last time out. Oaks hope ready for Sydney Quality filly Danzdanzdance will arrive in Sydney on Monday afternoon. Danzdanzdance has won once from five appearances and finished a last-start third in the Group 1 New Zealand Derby (2400m) at Ellerslie. Rusof given Group 1 opportunity Former champion Singapore apprentice Shafiq Rusof has earned a Group 1 ride. 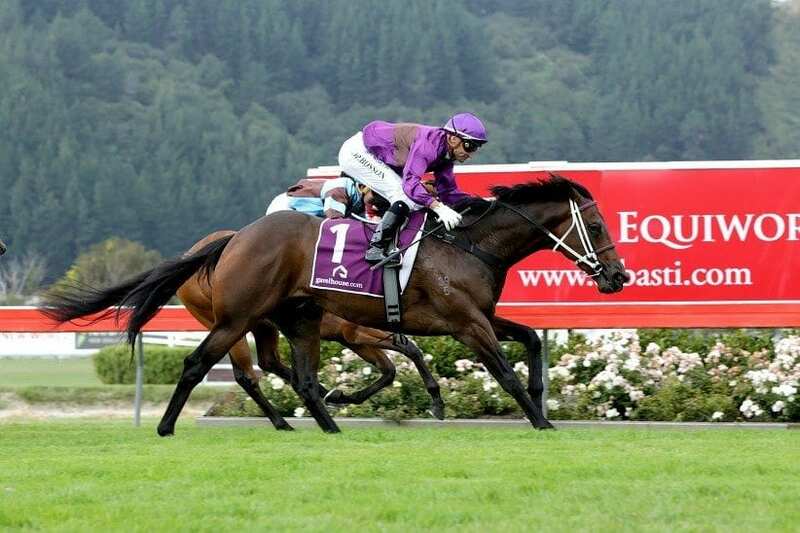 He will partner the last-start winner Handsome Rebel in Saturday week’s Courtesy Ford Manawatu Sires’ Produce Stakes (1400m) at Awapuni for trainers Stephen Autridge and Jamie Richards.